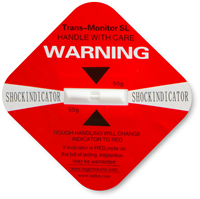 Our Red Shock Indicator Label is not just a visual reminder of careful handling; it is also an indicator of shippers’ accountability. 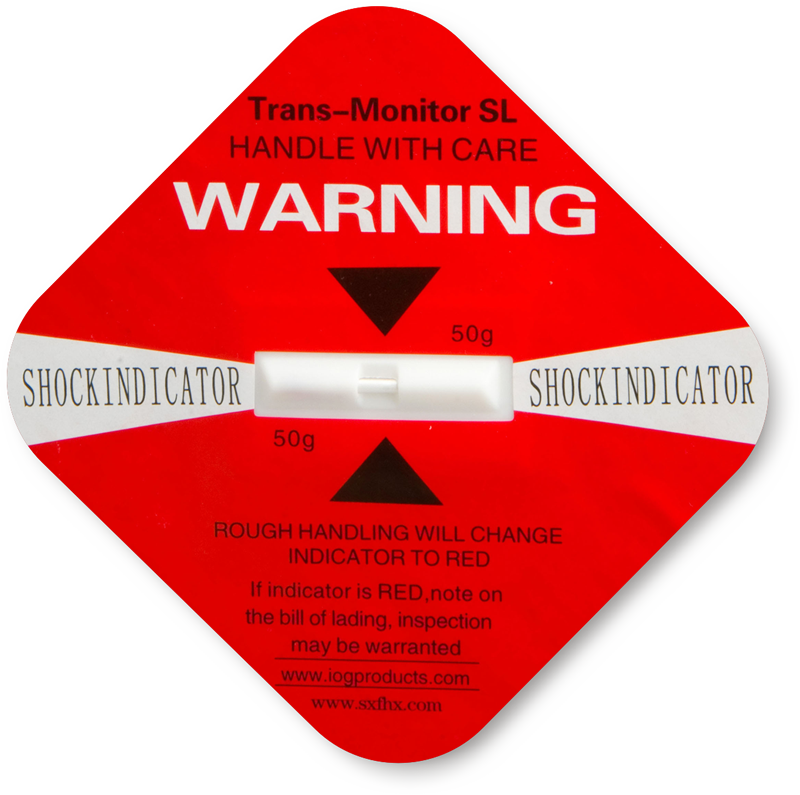 • If the package is handled roughly, the color of plastic indicator turns from white to red. • The label is ideal for audio/visual/broadcast equipment, restaurant equipment, sheet metal, displays, exhibits, and more products. • Adhesive label has a sensitivity of 50G at 50 msec and should be placed at upper right corner of a package.